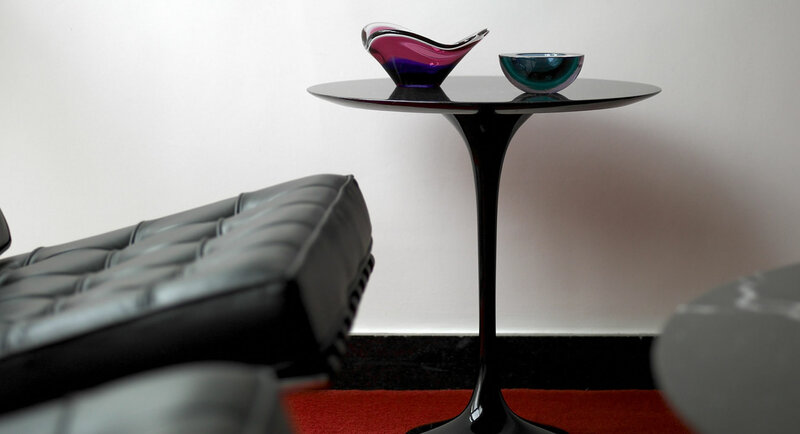 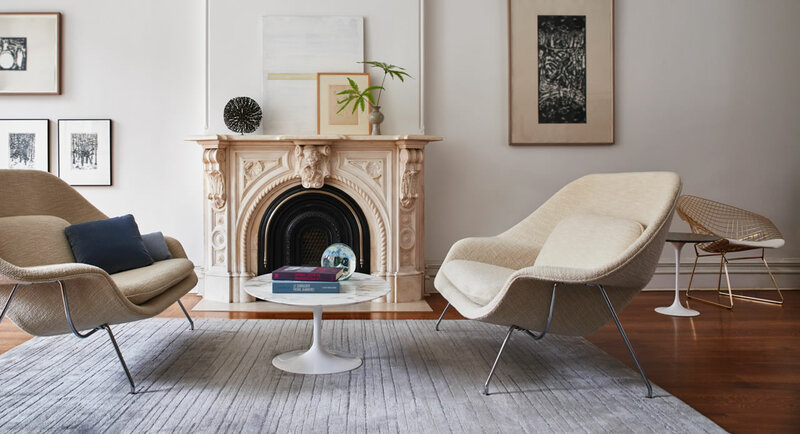 Saarinen Coffee Tables In his purist approach to architecture and interior design, Eero Saarinen sought the essential idea and reduced it to the most effective structural solution within an overall unity of design. 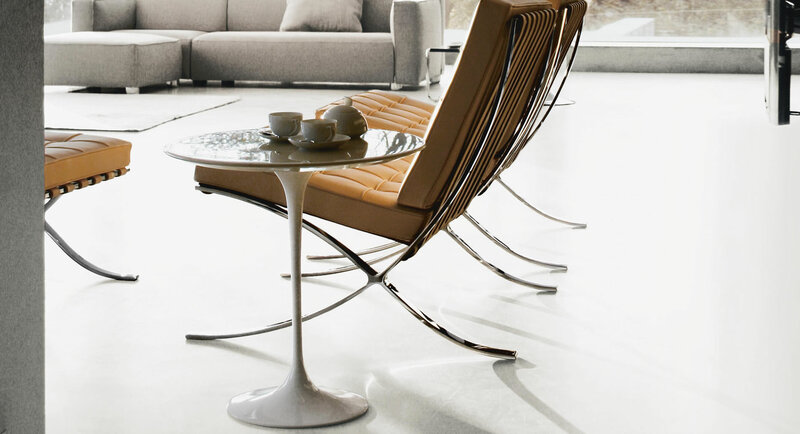 “The underside of typical chairs and tables makes a confusing, unrestful world,” explained Saarinen. 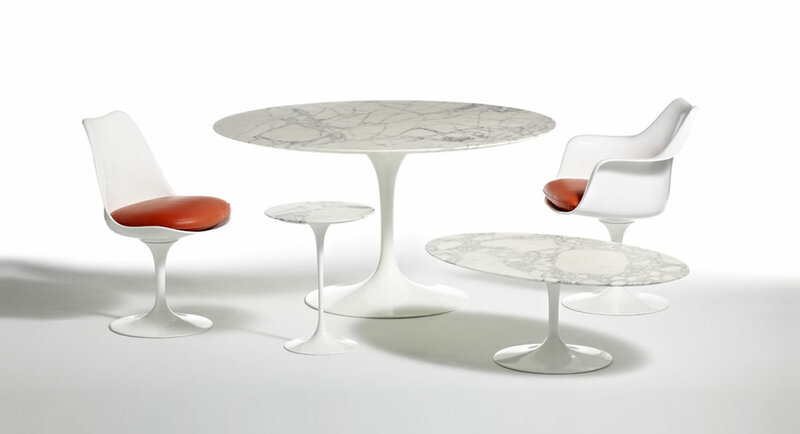 “I wanted to clear up the slum of legs.” In his pedestal collection, which includes a dining, coffee and side table, Saarinen realized his ideal of formal unity. 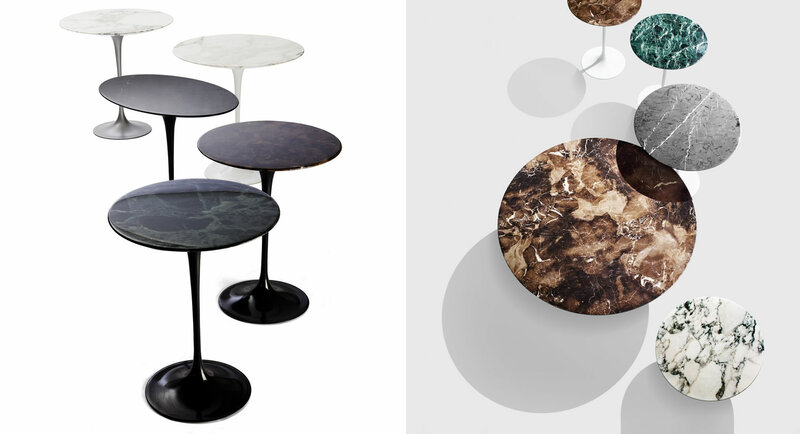 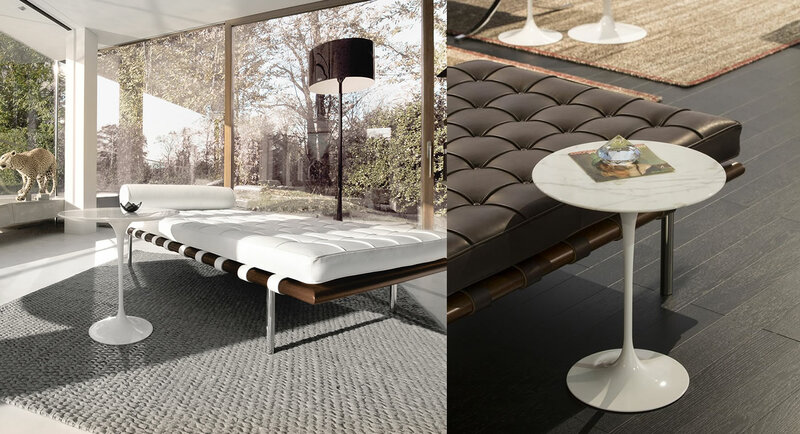 The tables are available with laminate, marble, or veneer tops with a base in black or white finish.